Motivate and empower your board to get wholeheartedly involved in fundraising. This completely updated version of one of Boardsource’s best-selling books explains how board members, development officers, and chief executives can clarify the process of successful fundraising, target and approach potential funders, and increase levels of support. They will discover why some donors give…and why others do not. 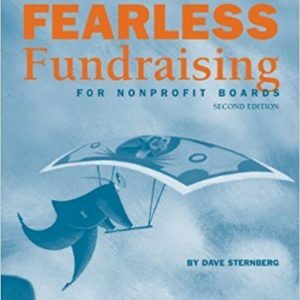 Fearless Fundraising for Nonprofit Boards is filled with practical, actionable advice and includes a quiz to assess your board’s fundraising culture, role playing exercises, a sample board member letter of agreement, and a fundraising checklist. In today’s uncertain environment, where nonprofits find themselves grappling with the continued downturn in the economy, the ongoing war on terrorism, government’s cutbacks in social services, and a wave of organizational scandals – groups everywhere are straining to keep up with the increased demand for their services while struggling to generate funding. 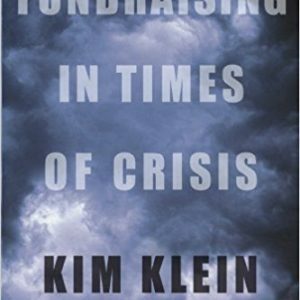 Fundraising in Times of Crisis draws on renowned consultant Kim Klein’s more than twenty-five years of fundraising experience. This much-needed resource shows troubled groups how to identify what is really going on and how to assess the damage. Fundraising in Times of Crisis helps executive directors and development professionals of nonprofit organizations plan for both the short and long term and explains how to evaluate the success of their efforts.